Christmas decorations! Do we actually need any more? I mean, really. Take a good, hard look at your storage of red-and-green-and-sparkly-and-blinky, and see if you can just call a moratorium on any new ornaments and garlands for one year. Another option would be to make sustainable, low-impact, or multi-purpose decorations: a popcorn and cranberry garland or cookie and candy ornaments that you actually eat; make a live Advent calendar by telling a joke or reading a poem once a day, or use an ebook version; repurpose something that's meant for another season; raid your craft and fabric stash for scraps that could inspire you. Christmas tree! We bought a live evergreen for Mikko's first Christmas, and our idea is to have it grow along with him. We found out after we bought it that live trees don't much like being brought in to the warmth during the winter and then set outside again — something to do with dormancy periods and damaging them and such. So it's happily out on our balcony, where we will decorate it with some hardy ornaments. If you don't care about using the same tree every year and you have your own land, you could buy a new, live tree this year, enjoy and decorate it inside, and then transition it gradually to the outdoors before planting it in its new, earthy home. If you already have evergreens outside your home that are yours to mess about with, you could bring your decorations outside. Last year, we decorated our ficus instead of our little evergreen, since the evergreen was cozily sitting out the freak winter storm on our patio and we didn't want to disturb it. Wrapping paper! I had this idea to go simple with wrapping paper in the future, once I'd used up my collected stash. I thought, I'll use just white tissue paper, and then ribbon to hold it together, preferably fabric ribbon, in whatever color fits the occasion. That can work for baby showers, weddings, Christmas, birthdays, whatever, and the storage would be a piece of cake! But then my friend went one better by showing me how she buys cute fabric bags at thrift shops for fifty cents or so apiece to use as reusable gift bags. Cute, no? You could also use fabric scraps you already have. One of my favorite wrapping ideas is to incorporate the present, too: like, a great wedding present (that we received and have since given!) is a picnic basket filled with lovey-dovey picnic-for-two paraphernalia. For kids, you could wrap a toy in a silk playscarf. You could always forgo wrapping presents altogether, but...oh, I don't know, isn't half the fun unwrapping? For very young children, it's about 99% of the fun! Christmas presents! Speaking of which, we have used this shady technique with Mikko when he was very young: wrapping up toys he already has but has forgotten about. He didn't at all seem disappointed when he opened them! This will not work on anyone who has decent long-term memory, fyi. But there are ways to give less wasteful presents. You can make a gift, of course, though sometimes that can cost just as much and become just as much clutter. One that I'm rather proud of but might not be everyone's cup of tea (such as those I gave it to...) is an album of lullabies I recorded for Mikko. Low-cost, low-mess. Memberships to museums and tickets to events are pricey but eco-friendly. Coupons for experiences you make yourself would satisfy both the frugal and the environmental side, but make sure you follow through. Examples I've received and given, respectively, have been a free wardrobe consultation and a couples photography session on the beach. If you're talking distant relatives and you're feeling gifted out, ask if they'd mind stopping exchanging gifts — they might be feeling the same way. Or maybe do a Secret Santa deal, to limit the number you have to give, or agree to donate to charities in each other's names. I've found that some people appreciate the donation thing if it's unexpected, and some think it's obnoxious, so it's probably best to ask. Other ideas if a group of people is up to it would be a clothing, book or toy exchange party, or giving each other used gifts from the thrift store or craigslist — that would require still spending money, but not as much, and you would be preventing waste by taking something out of the trash stream. Or turn your get-together into a giving opportunity by making it a service project: Everyone can bring an item for a food bank or to put together care packages to give to the homeless, domestic violence shelters, or overseas military. Christmas events! I liked that live Advent calendar idea I had up there — didn't you? I had no idea that was going to pop out when I started writing this. I bet there are similar ways to streamline and tone down your Christmas festivities. There are so many free concerts and puppet shows and community potlucks to attend at this time of year that you could pass on anything that requires tickets and still feel celebratory. Maybe for Santa pictures, someone you know already has a Santa suit, and someone else you know has mad camera skillz, and this could all come together in something serendipitous and less mall-intensive. Christmas food! All right, this one has me stuck a little, because I absolutely have to make my mom's famous hot cream cheese dip. There is no possible way I'm giving that one up. But, in other times, such as when we were preparing to move, and phases when we have been desperately poor, we have instituted buy-no-new-food months. That is as it sounds, with the exception of a minimum of perishables that are absolutely required in our quest to use up the food that's already in the pantry, fridge, and freezer. If you're anything like we are, you'll be surprised at what's lurking on your shelves or molded into little blocks in the back of the freezer, and equally surprised at what tasty dishes you can make from it all. Maybe December isn't the best month for such a venture, but it's a possibility, in any case! Christmas letters! We send out an annual Christmas letter through the actual postal mail, but I've been thinking that eventually it will become a Christmas email. We already have a personal photo website where our family and friends can keep up to date with us throughout the year, and I keep whittling down our mailing list to our particular friends and to those who are not internet-savvy enough to type in a URL or subscribe to an RSS feed. As those people die off (sorry, old people, but it's true! ), I will probably switch to all-online. Now, don't get me wrong — I love getting me some Christmas cards and letters in the actual mail: the feel of the paper, the seasonal stamps, the thrill of something in my mailbox that's not a bill or flyer, and the pride of crowding my mantel with the results to show off just how many friends I have. But...I can see that moving toward a paperless society can and will be a good thing. You can now send or post cards, invitations, letters, videos, and photo slideshows all online, so you have a lot of options for making your e-greetings merry and meaningful. If all else fails, you could, um, use recycled paper? If all this sounds too bah-humbuggy to you, just think about incorporating one or two ideas and let the rest percolate for another year. In perfect honesty and humility, I freely admit I will not be following all these suggestions this year, but I will be thinking about them. I've decided that counts. And, yes, the irony is not lost on me that my last post was about coupon codes for holiday shopping. I figured — hey, if you're going to buy things, might as well use a coupon! In my defense, the only one I used was the $3 Amazon mp3 download, which is cluttering up only my iTunes instead of my shelf. In the spirit of the fact that NaNoWriMo is over in two days, and I still have 5,000 words to write, I spent almost no time at all on this post. I'm sure there are plenty of other ideas out there, and that a bajillion other bloggers have covered this topic, but you know what? I'll just lean on you all to fill in the missing pieces! Let me know what ways you're cutting down, saving money, and making do this Christmas. 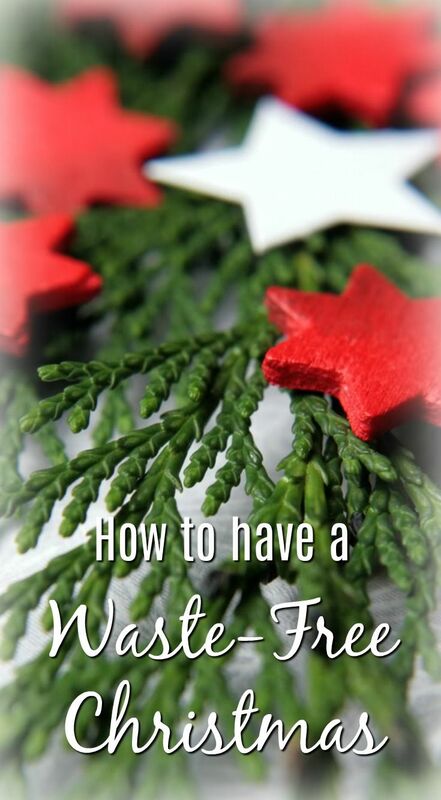 Truth in the Tinsel is a great ebook option for an Advent activity guide for families of faith at Christmas. Be sure to check for their holiday sales. 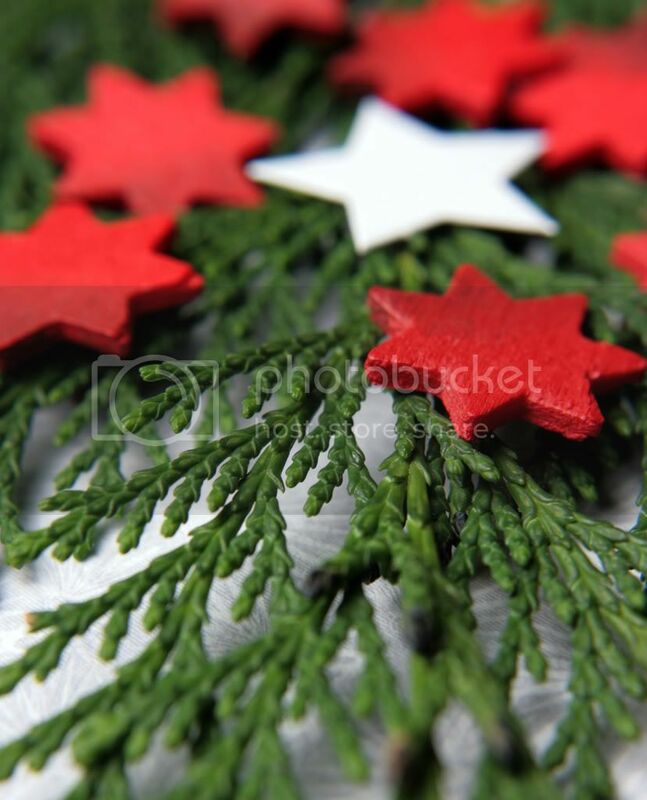 I just saw that 2 Vancouver companies are offering christmas tree rentals using your potted tree idea. Loved this idea. As for the lullibies, we put together a photo story book for our newborn of the first months she was born and ordered copies for the grandparents and great grandparents using blurb.com. Not sure what it will look like but it was fun putting it together and we got so many gifts done at once! I have really been trying to be minimalist in all areas of my life - Christmas included. The hardest part is getting my family to understand; they are Christmas junkies from way back. I invited our extended family (and a couple of close friends) to participate in a handmade ornament exchange this year. That and some other homemade items (t-shirt towels and magnets) should be the only gifts we are giving. Our son is getting a few gifts, but we've tried to be very frugal with him as well. My husband and I will not buy gifts for each other; in the past we have always given things that, while nice, aren't necessarily practical (jewelry, etc.). We aren't in a financial position to buy extravagances this year, so we were both relieved to not worry about gifts for each other. We are not buying any new Christmas decorations - the only ones I've bought in the last few years have been on super clearance after the season has ended (but that's been awhile). One year I bought marbles for the kids on my Giftmas list and made little pouches for them. Then they had reusable container anyway! The bags they come in won't do for keeping marbles. I love the idea of wrapping gifts in the funny papers. Or one year I wrapped in finger paint paper (and finger painted it!). I wound up just using wax paper for some, but then I had to wrap a layer over the painted layer because the gifts were sticky. Last year I made almost all of my gifts out of necessity, really. I used pockets of old jeans to make little purses for all the little girls. I embroidered their initial or a cute pic on them and added a snap closure. I had everything on hand for this craft. I bought cheap old hardbacks at a local store and hollowed them out for some of the adults on my list. Secret stash books! As for not causing more clutter, I think having a special treat that is your signature recipe and giving that food item is great. Then once it is eaten - its gone. They enjoy the gift, but don't feel like they have something they have to keep around forever out of some obligation to my feelings. You can make a card for people, with something very personal. Write a poem? a song? or (as has been done for me) a web page with pics and lots of sentiments. You could do the same thing as a scrapbook page or frame it. Oh, and I've reused parts of giftmas cards as gift tags the following year. I didn't think I was all that eco-conscious, but I guess I'm doing better than I thought! Oh! And we use a reusable tree, not live. I got a divorce last year (but got to keep 2 trees), so I'm kind of starting from scratch. My husband and I are starting fresh on ornaments and buying one, single ornament each year for our tree. I think it is going to be great fun though I've never liked the idea of ornaments as gifts. Last year we bought one with a cat on it as we had two pet cats. This year we have a new baby so we got a first Christmas type of ornament with a space for a pic. Who knows what we'll pick out next year! As cute as trees with a theme are, I love that our tree will be so very personal to us! I'm so excited by these comments — great ideas! Accidental Pharmacist: Christmas tree rentals. I love it! And I love the photo book idea. We did that with Mikko's first year, and it's such a keepsake and a definite hit with the grands. I'm jealous you have greatgrandparents still! That's marvelous. Dionna: Welcome! I'm glad, too. I am checking out yours in between typing this! I love the name, first off. :) My husband and I also tend to be very non-gifty, and it has never bothered us. Some years we take $10 each and run around a big store finding as many goofy items as we can for each other for that amount, but lately even that hasn't seemed necessary. We might try it sometime with $10 at a thrift shop, where our money will go further! Kika: I think that's a lovely idea to make recycled Christmas postcards! I always enjoy looking at the cards I receive. Jorje: You are so inventive — I love it. And I totally forgot about the food as a gift thing, because that one's awesome. If you're low on cash, it can be homemade; and either way, it's there, and then it's gone, and it was enjoyed. Win, win! Sam's mom always gives us these huge ornate ornaments that I'm not a fan of, considering our tree is 2 feet tall, and this year she couldn't find anything and asked if we'd minded if she skipped a year. Sam assured her that it was fine! I also love picking out any ornaments myself, and we pretty much never have the chance, with all the gifting. Oh, well! Thanks for stopping by Cool Baby Kid! I'm sort of ba-humbug about decorations. If it's something that I will consider a pain to take down after the holiday, it doesn't go up. We have a fake tree and sufficient decorations for it, and I am still using the same wreath I've had for 10 years. The only thing I'm planning to buy is a stocking for my baby. I hope to get one that will last her whole childhood. As for gifts, my extended family doesn't exchange any for the adults and we keep it to only one for the nieces/nephews. I think I bought several years worth of wrapping paper last year on clearance after Christmas. It was cheap, but now I kind of wish I could just wrap everything in brown paper bags and tie it with twine. But I could never do away with the wrapping--I LOVE wrapping gifts and they look so pretty under the tree! I also always reuse gift bags--at least until they've had such a good beating that they are falling apart. I reuse wrapping paper, too, if I can. I'm not spending much on decorations...except for the fake Christmas tree, which is definitely not "green" but buying a fresh cut tree every year is expensive, and a pain. I like the idea of a live tree, but I want a tree inside the house. It's way too much fun to give up. Anyway, I don't like how commercialized Christmas is. I'm hoping that in our family we will be able to focus on Christ at Christmas (that's my goal) instead of presents and Santa Claus. Huh. I just realized that my decorations should reflect my goal. I also bought a stamp set and made TO and FROM labels right on the packages, to make them look like official deliveries. It turned out to be a LOT of work! They were cute packages, though. I've always been a Christmas minimalist. We can go to the park a half a mile away to see the lights. We are each others' gifts. We don't exchange gifts w/anyone except my nephews. And my mother who goes all out...who can not accept my approach to this holiday...but, oh well, she is only one. And since I'm all about quality when it comes to gifts, she will receive a lovely piece of jewelry. I've saved tons of old maps and cookbooks with plans on using them as wrapping paper. I might have to go through oodles of tape, but at least I won't be killing any extra trees this Christmas!! I used to make new cards out of the previous year's ones. Now that hardly anyone sends Xmas cards anymore and my kids cut them into itty bitty pieces before we can do anything worthwhile with them, this doesn't happen anymore but we have turned to sending our holiday letter by email and we re-use our wrapping paper and ribbons. We also try to make or buy homemade as much as usual. Makes for a more special Christmas I think. Can I just extol a romantic plea to the world to keep Christmas cards postal? Many people find it quite enjoyable to receive mail that is not junk. Email is so quotidian, computers part of our every day - for many, a majority of every day. A card, whether lovingly handmade or store bought, takes one out of the everyday. I'm an ardent tree-hugger, but believe paper used mindfully in creation, giving, or craft is not wasted. That said, it's easy to be completely sustainable about your cards. As Melodie said, you can reuse ones from previous years. Or use scrapped office material or make your own paper from old paper. And it's not that hard anymore to get recycled paper or recycled cards. We design our cards on the computer and print them out (on recycled paper) and I admit, it can be a pain. But at least I know that once a year, my husband and I will take some time out from our busy schedules and brainstorm and create and think about how important our family and friends are to us and send a little something to them that they can hold in their hands. And from the feedback we get, they are happy that we do it.